Norman OK real estate is one of the stronger housing markets in the state thanks to steady economic growth and recovery. A variety of Norman OK homes are available at good prices for high quality. In addition to homes for sale, Norman real estate also features plots of land available for development. Individuals looking for Norman homes for sale can also take the time to learn some details about the area's history. The city of Norman began as a settlement during the Oklahoma Land Run of 1889. It has since grown to become the state's third largest city, with a population of more than 100,000 full time residents. Norman also serves as the county seat for Cleveland County. More information on the city's history is available on the Visit Norman website. The same site also contains links to information on current Norman properties listed for sale. Along with real estate in Norman, the city also boasts a number of different points of interest. Some favorite local attractions include the Sam Noble Oklahoma Museum of Natural History, the Fred Jones Jr. Museum of Art and Lloyd Noble Center. While looking for homes for sale in Norman future new residents can find out about the arts and cultural highlights of this Oklahoma town. More details are posted on the Norman Convention and Visitors' Bureau website. Some of the most popular local events in Norman are public art exhibits in the city park, wine tasting tours and live music performances. Further information and event calendars are available on the Visit Norman events web page. Each Norman home buyer is frequently interested in the local parks and recreation facilities and activities, which are plentiful in this Oklahoma community. A few highlights for all age groups include sports leagues, community tree-planting days, art classes and fitness programs. Interested new residents can find out more on the Norman Convention and Visitors' Bureau Parks Department web page. An experienced Norman real estate agent can help prospective new residents get started with any type of property search. 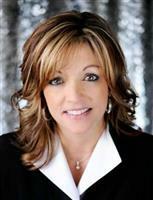 Norman REALTOR® Karen King's webpage is dedicated to current home listings. Home buyers can visit this site and view photos, exact locations and virtual tours of many different Norman houses for sale. To get started, potential new home owners are encouraged to contact local REALTOR® Karen King by phone or email. 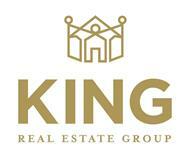 Give Karen King a call now and make an appointment to view available Norman properties. Let her help you find your ideal home today!